Kari Castle is a pioneer in the world of “Para-guides” in the U.S. running her first XC Thermal Clinic in the Owens Valley in 1992. Since then she has traveled all over the world with clients visiting one flying site after another! 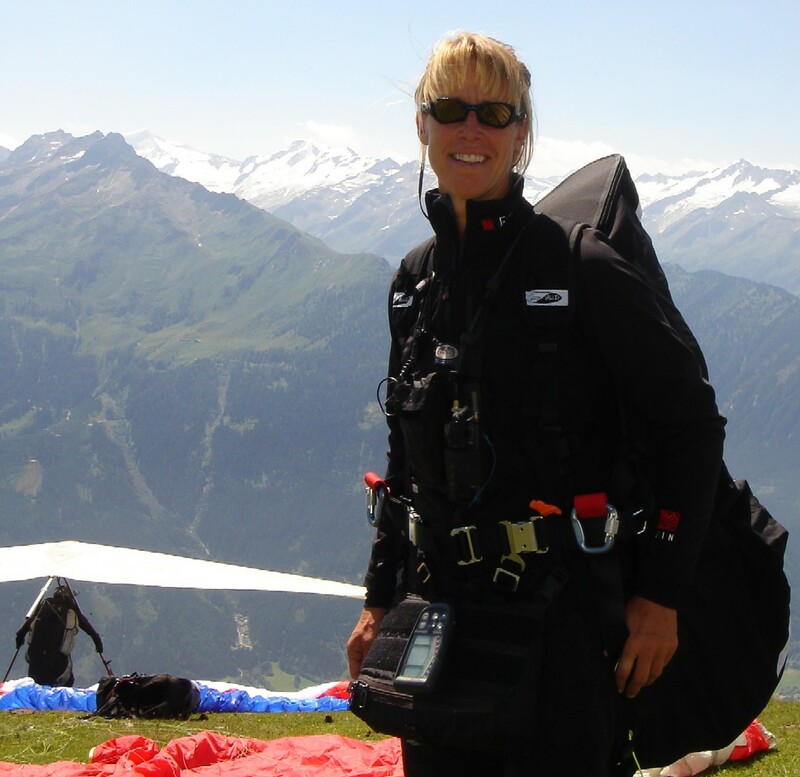 Kari Castle is a three time Hang gliding World Champion, Hang gliding and Paragliding National Champion over the 37 years she has been flying and competing, she held 2 Women’s Hang gliding World Records (open distance and declared goal) for over 15 years until they were broken in 2017, set three others as well as many National, State and local records. She holds the current open distance record in a tandem paraglider in Australia flying 228km set in 2008 with a very lucky passenger!!! Not only is Kari a formidable competitor (winner of the 1996, 2000, and 2002 Hang Gliding World Championships; 7 time Paragliding National Champion; as well as holder of several distance world records in both paragliding and hang gliding), but her outgoing and fun-loving personality has caught the attention of the media as well. Kari was the cover feature of numerous magazines, calendars, and two international posters. She has also been the spotlight of major magazines, including; Women’s Sports and Fitness, Rock & Ice, Climbing, Gravity, Conde Naste, National Geographic, Explorer and Outside. Add to that her frequent television appearances on nationally and internationally televised shows such as Newton’s Apple, and it’s easy to see why Kari is recognized world-wide as a true champion, whether in outdoor sports, motivational speaking, or successfully advancing her sponsor’s product line.